Because we customize each wagon to the individual's specifications, this item is unavailible to be purchased online. Please call to order. 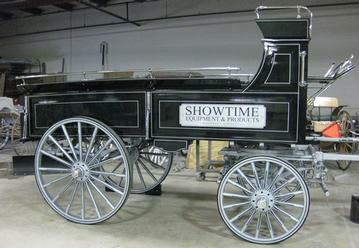 This high quality Showtime Hitch Wagon is made by the same reliable company that makes our Draft Show Cart.